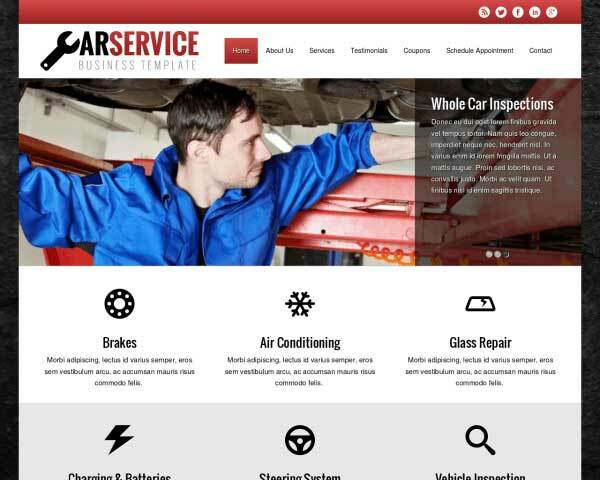 Don't just rely on word of mouth, create a professional website for your towing business with the Towing WordPress Theme! 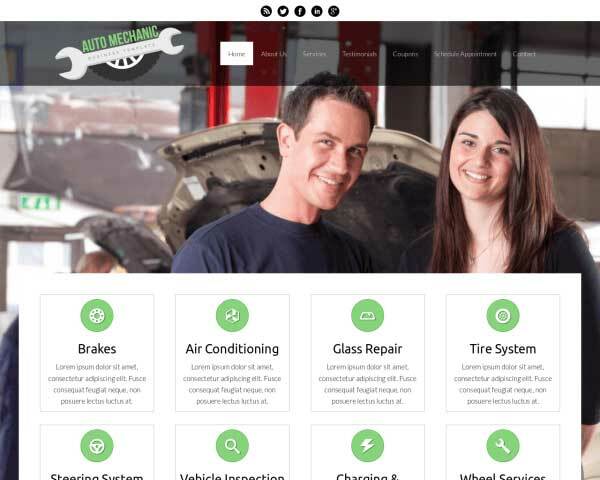 This pre-built web template is ready for your own text and photos to help you get your services online fast. The Towing WordPress Theme's true power lies not only in its clean design and layout, but also in it's powerful theme engine. It's a fully mobile WordPress theme with a front-end editor. 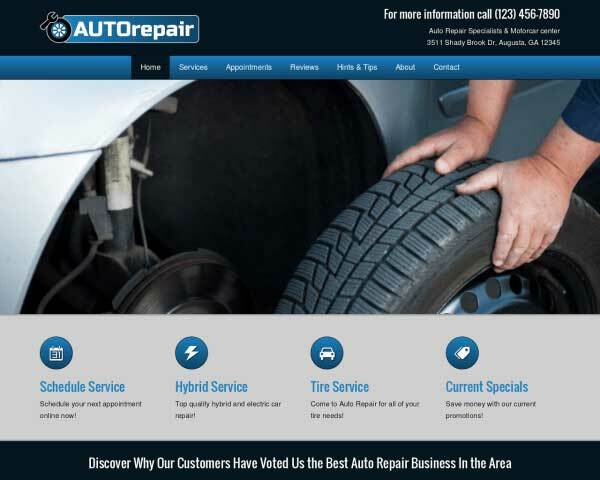 This means you can easily expand the services on the homepage or instantly change the entire color scheme with the click of a button. 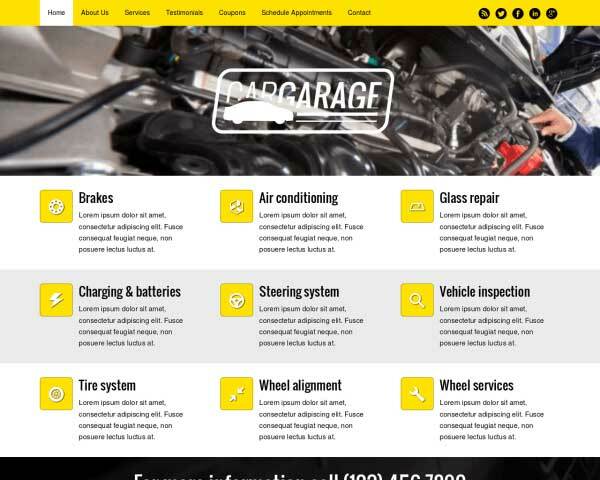 With its turnkey installation you'll set up your towing website in minutes. 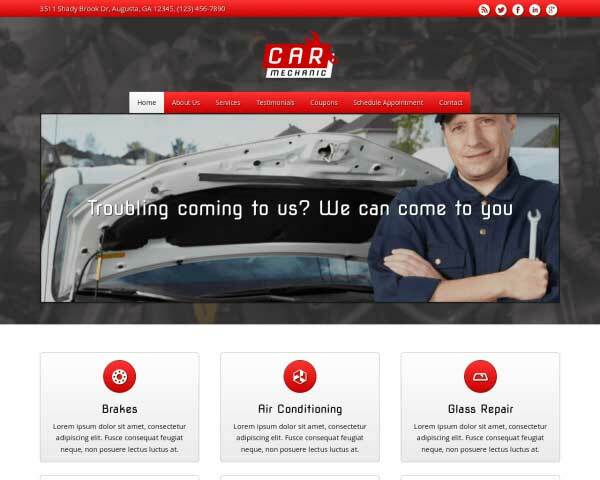 All of these common sense features will make the Towing WordPress Theme an excellent choice for professional towing experts who want a solid online presence. 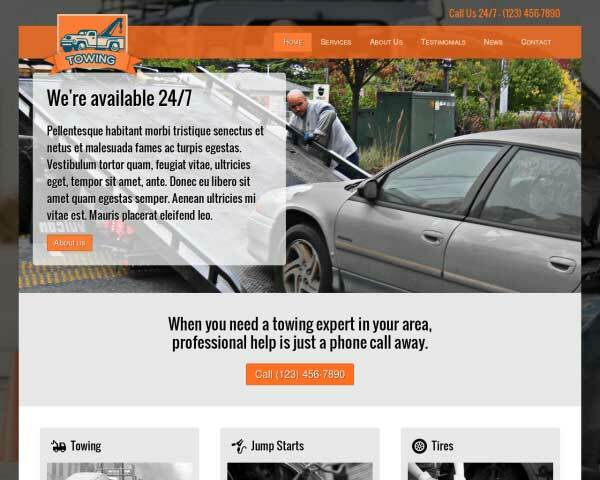 The Towing WordPress Theme features a blog section to share tips, news and articles. We've even included a few sample posts to get you started. 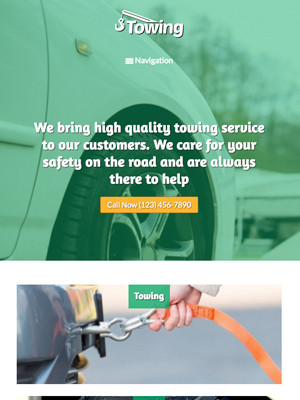 The Towing WordPress Theme was built with the specific needs of towing experts in mind in order to deliver the best match for your business website. 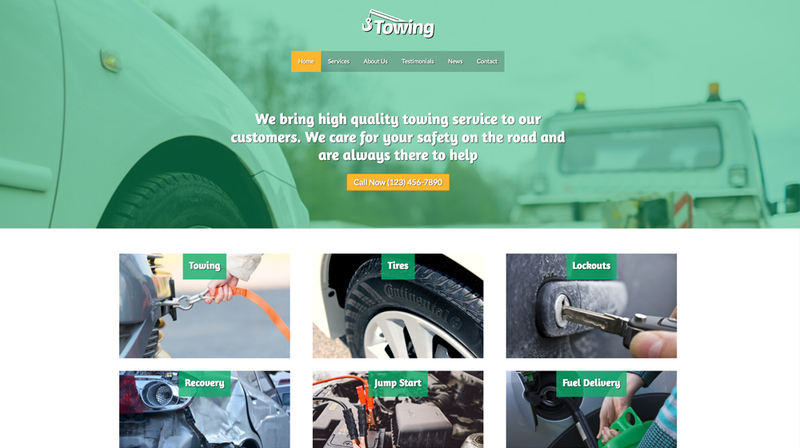 The Towing WordPress Theme offers placeholders to show engaging visual stimuli in combination with textual call-to-actions. Think about the biggest problems of your target audience and offer your solutions. The main purpose of the Towing WordPress Theme is to help you reach your target audience. The contact page is a feature that will greatly help you accomplish that goal. 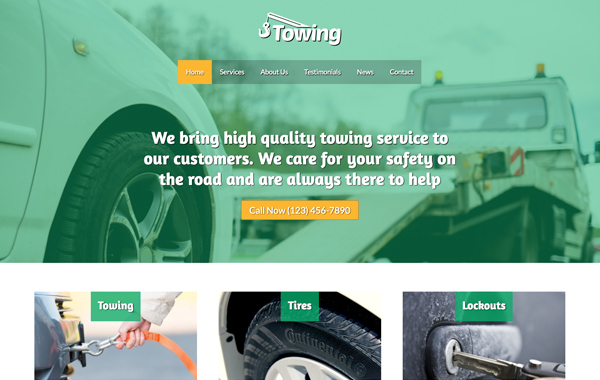 The Towing WordPress Theme is beautifully designed to offer visitors a wealth of information in an organized manner, while allowing your own character to shine through. Attractively display client feedback with the Towing WordPress Theme's quote widget. Just paste in your own text and the quotes will be automatically styled with no coding required. As a business owner you know that small distinctions can make a difference. And a lot of these distinctions together can shape your destiny. 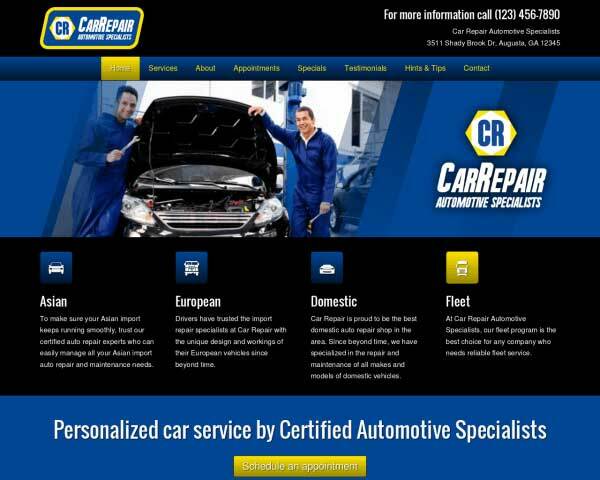 It has been our personal goal to shape the quality of people's online presence with a myriad of small distinctions. 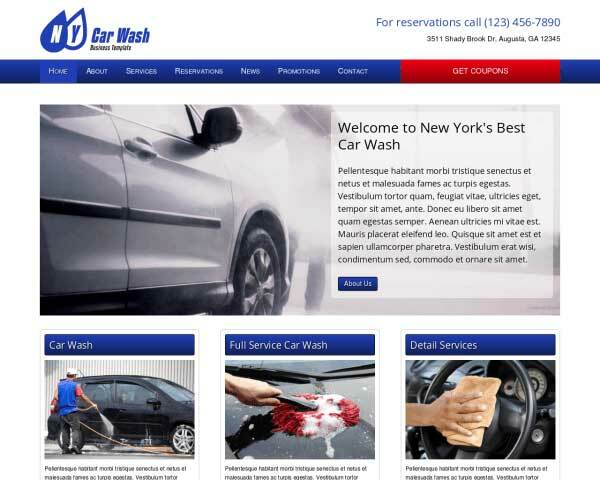 One of them is providing the optimal experience for your website's visitor, no matter what device they use. This is called "responsive design". With the responsive Towing WordPress Theme this extremely valuable component of a professional online presence is placed in your hands as soon as the theme is activated, without you ever having to think about it.